This gift includes exceptionally fresh fruit and requires Overnight delivery. Give the ultimate extravagance—lush, ripe strawberries dipped in premium dark chocolate. 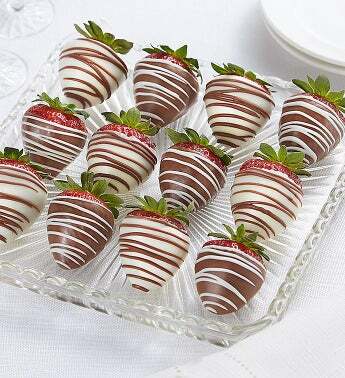 It’s simply the best chocolate covered strawberry experience they’ll ever have.